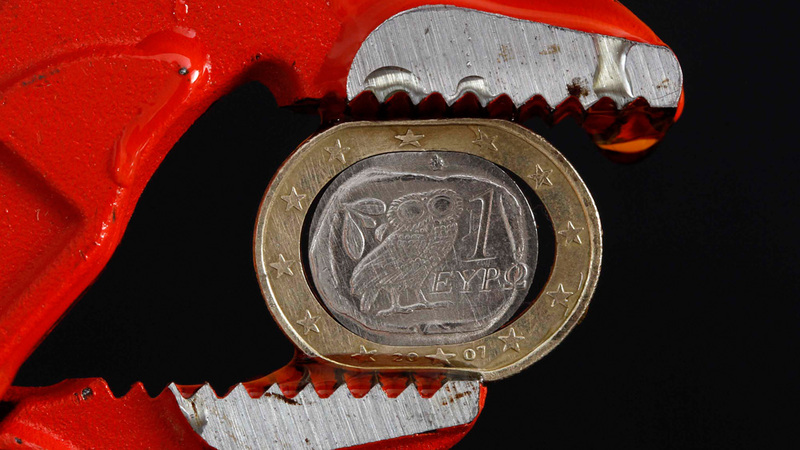 The crisis in Greece has been characterized as a make-or-break-moment for the eurozone – and that may be the case if Athens moves closer towards a Grexit in the coming weeks. A Grexit would not only entail economic, financial, political, and geo-strategic risks for Greece as the country would invariably go through a time of insecurity about its future and face financial – and political – turmoil. If a new currency were to be introduced in Greece, which economists expect would devalue as much as 30 percent, most households and businesses with external debt denominated in euros would have to default on their liabilities as they would become practically unpayable. In addition, rising inflation rates would hurt households as most Greek consumer products are imported. Meanwhile Greek exports have not picked up despite the ongoing devaluation of the euro and the real devaluation of Greece through adjusted price levels within the eurozone, so there is a risk that, at least in the short-term, Greece’s competitiveness will not be restored with a return to the drachma (or some other currency). However, the eurozone, too, would be seriously challenged in the event of a Grexit. First, the risk of contagion is lower than in 2012 due to a reduction of Greek debt holdings on balance sheets of European financial institutions and better bank resolution capacities. But the ECB and national central banks (and in the end, the European tax payer) would suffer significant losses equivalent to the amount of Target 2 balances – the balances held in the eurozone’s cross-border payment system – connected with the Greek account deficit. Second, the danger is that markets would no longer believe in the idea of monetary union and in the euro as a stable currency. If Greece’s exit destroys the notion that eurozone membership is irrevocable, investors might perceive the eurozone as a fixed exchange rate regime rather than a true currency union. is Director of the German Council on Foreign Relations' (DGAP) in Berlin.